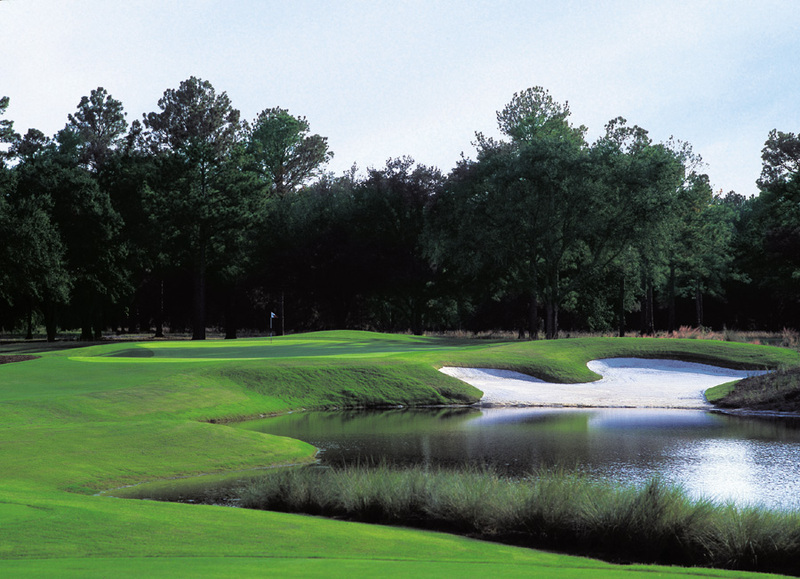 The only collaboration between golf’s greatest legends, Arnold Palmer and Jack Nicklaus, King & Bear in St. Augustine, Florida, is set among pristine lakes, beautiful loblolly pines, and stately oak trees. Located at the World Golf Village—a massive residential golf complex that also features the World Golf Hall of Fame—each hole contains design characteristics of both players to create a unique layout in northern Florida. Since its inception in 2000, King & Bear has hosted the Legends of Golf, a PGA TOUR Champions event; the Shell’s Wonderful World of Golf match between Palmer and Nicklaus; and Qualifying Schools for the PGA TOUR and PGA TOUR Champions. For more information or to book a tee time, call 904-940-6088 or visit golfwgv.com.